What is the difference between exemplary art and pop culture trash? How are these distinctions determined? And who is allowed to determine them? Categories of high and low brow pervade every form of media we consume: the Booker Prize winner vs the most recent Nora Roberts romance, the arthouse film vs the popcorn superhero flick, the graphic novel vs the comic book, the HBO prestige drama vs to the network sitcom, The Witcher Series vs Madden NFL. The perceived difference between these categories determines their cultural capital, influencing not only what we read, watch, and play, but also how we judge the media consumption habits of others. We confess to “guilty pleasures,” a term that admits to enjoying a novel, television show, or genre, while still indicating that we discern its inferior quality. Moreover, the categories of high and low affect not only what we consume, but how we consume it, what is worthy of our time and attention, what we study, and what we teach. But these categories are socially constructed and can evolve over time. Yesterday’s bawdy performance at the Globe is today’s critically-acclaimed Elizabethan drama. So why and how does such cultural evolution occur? 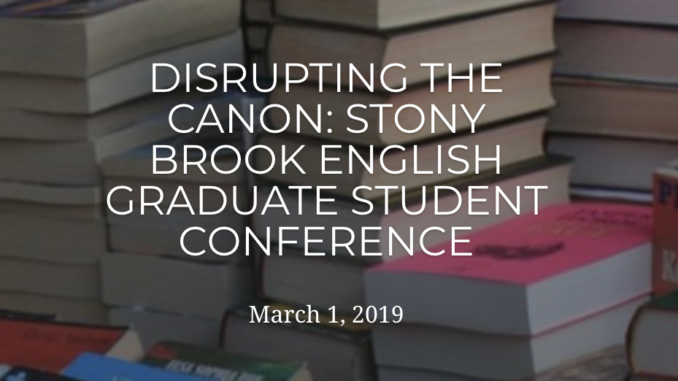 This conference seeks to interrogate the distinction of high, middle, and low brow texts as well as their political, social, historical, and educational implications. How are categories of cultural prestige used to maintain social, racial, gendered, class, and linguistic power structures? How does canon formation reproduce and reinforce cultural hierarchies and hegemonic values? Whose voices are amplified by the labels of “art” and “literature,” and whose are excluded and thereby silenced? We invite abstracts that provide critical analysis of texts considered to be beneath the academy, as well as those that explore or even disrupt how we conceptualize art, culture, and canonicity.